The month of May is nearly upon us, and that means it’s time to gear up for the final episodes of our favorite TV shows. Thanks to The CW, we have two official descriptions that allow us to peer into the future of some of the hottest superhero series around: The Flash and Arrow. 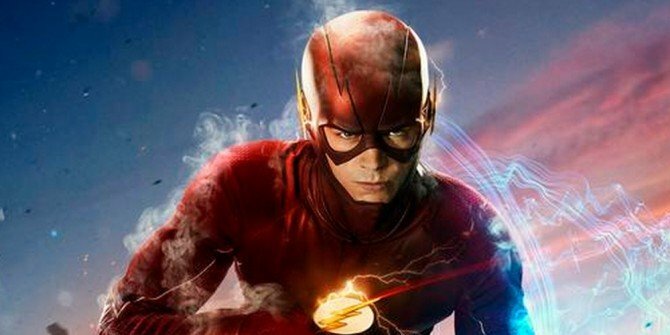 On May 17, the penultimate episode of The Flash’s second season, titled “Invincible,” will hit airwaves and it sounds like it will have no shortage of excitement. Expect to see Katie Cassidy play the much talked about Earth-2 doppelganger of Black Canary, who has adopted the moniker of “Black Siren.” It sounds like she will be more villainous than expected, so those of us who have theorized that she will one day crossover to Arrow to join their team may have to toss that bit of speculation out the window. The synopsis for the second to last episode of Arrow’s fourth season, “Lost in the Flood,” seems to be a bit more vague and cryptic. All we can gather from it is that Episode 21 will contain some kind of a game changer, with this outing set to explore the fallout. Following the shocking events in the previous episode, Oliver (Stephen Amell) and Diggle (David Ramsey) race to rescue Thea (Willa Holland), while Felicity (Emily Bett Rickards), Curtis (Echo Kellum) and Noah (guest star Tom Amandes) join together to stop Darhk (guest star Neal McDonough). The Flash airs Tuesday nights at 8:00 pm EST on The CW, while Arrow airs Wednesday nights in the very same time slot.